Yippee, hooray Spring is here! Well it will officially be here on March 20th! 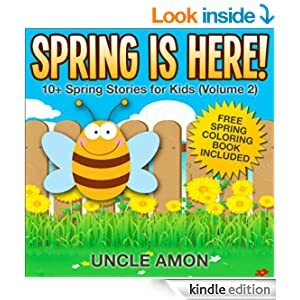 Are your kids ready to learn about Spring? There are so many topics you can cover like seasons, frogs, birds, bugs, flowers, gardening, trees and more. 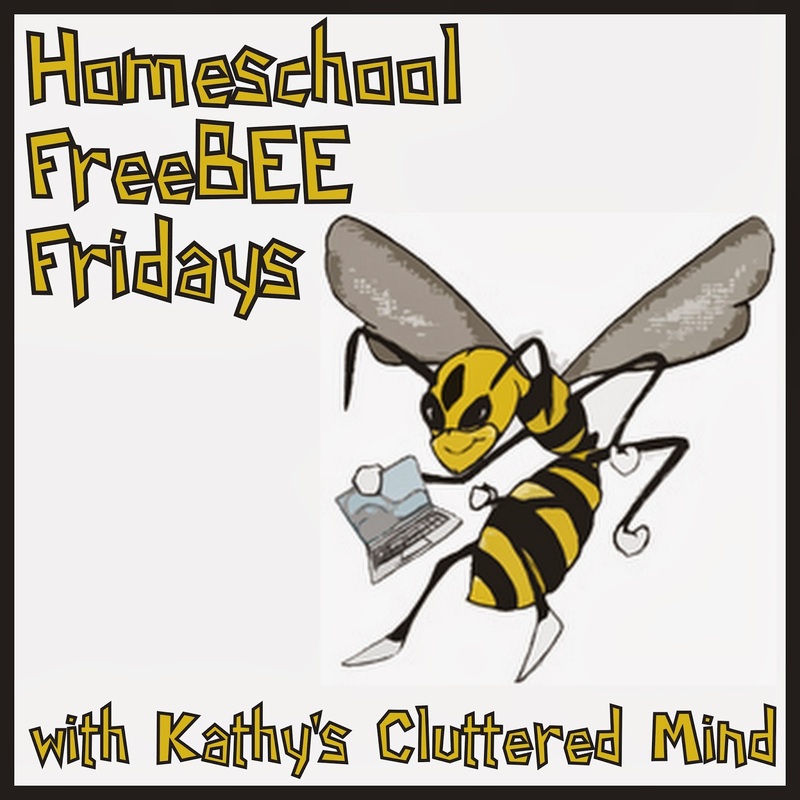 Here are some FREE printables, craft ideas, eBooks and more to get you started. -A few months ago I started make journal and notebooking pages for my children. I am offering all of these for FREE to my readers. 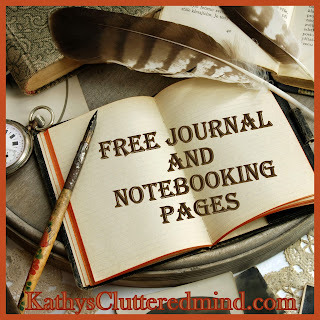 Be sure to visit my FREE Journal and Notebooking page to snag them. There are several that will help you with Springtime learning like butterfly, arachnid, scientific and rock observation journal pages and a weather graphing page. -There are several great FREEBIES right now on the A Journey Through Learning FREEBIE page including St. Patrick's Day, Easter, Spring and more. Be sure to also check out the $2 Express Lapbooks. -Birds: Robins Mini Helper on CurrClick. -The Teachers Guide has lots of great Spring resources. -Bug and butterfly resources from one of my past blog posts. -Spring lapbook printables and ideas. 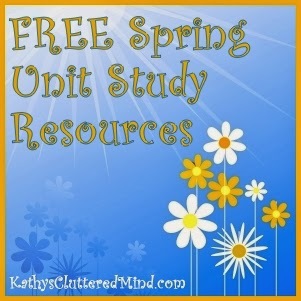 -I have several blog posts with bird unit study resources. -Ben and Me Blog has a great list of Spring themed lapbooks PLUS a Spring scavenger hunt printable. 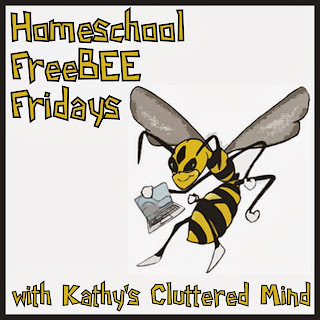 -Homeschool Share tree unit study and lapbook. -Lady bug lifecycle and Spring Math from Teachers Pay Teachers. -Bird unit study and flower unit study from Future Flying Saucers. -Spring activity pack from Marriage, Motherhood and Missions. -Check out this cute butterfly craft we made a couple of years ago. It's perfect for Spring. -Yarn nest craft from Marriage, Motherhood and Missions. -Spring forest from Vintage Indie. -Birds nest salt dough craft and caterpillar crafts from Craftulate. -Bug buddies puppets from LalyMom. 1) Paint the paper plate yellow on one side. Allow it to dry. 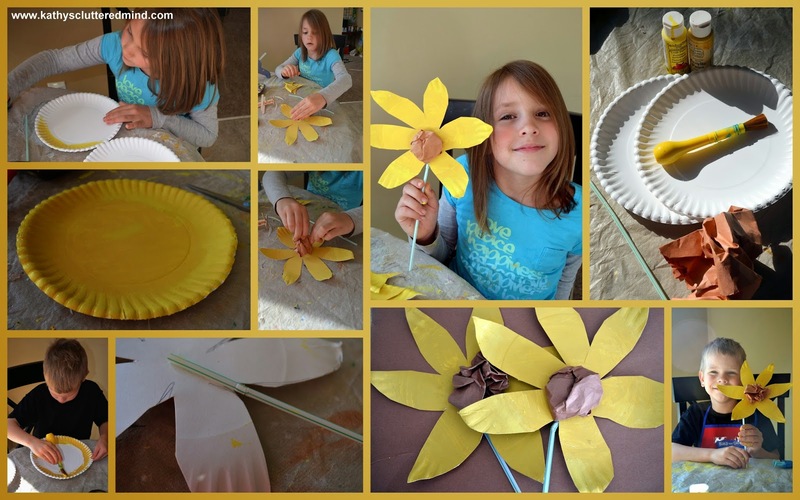 2) Make petal shapes on the backside of the paper plate and cut them out. For younger kids you can just cut slits to make it easier. 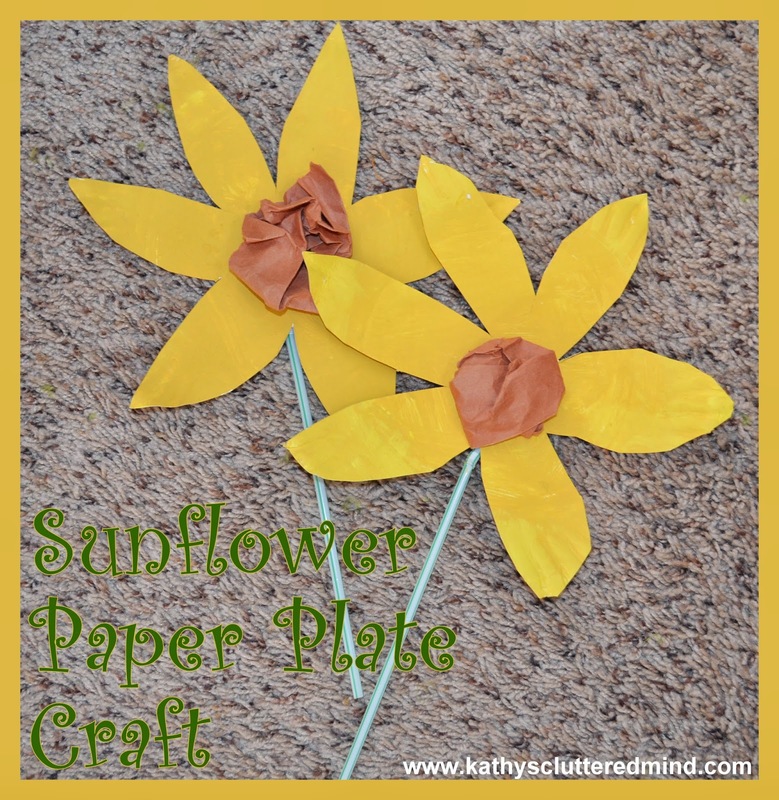 3) Crumble a small piece of brown construction paper and glue it in the center of the flower. 4) Glue a green straw or pipe cleaner to the back. Check out our Spring YouTube Playlist. For even more ideas head over to my Spring Pinterest Board.